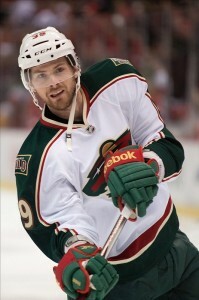 The Minnesota Wild wrapped up their preseason on Saturday against the St. Louis Blues, finishing with a 3-2-1 record. Both regulation losses came with a lineup almost completely made up of junior and AHL players. However, on Saturday we got to see most of the Wild’s lineup for their home opener against the Colorado Avalanche. That lineup is something that Minnesota should definitely be confident with. In news, they’ve reduced their roster to the point where there may only be one to two cuts left. The Wild planned to put out virtually their home opener lineup, but decided to make a few last minute changes after learning that the Blues had scratched many of they regulars. Ryan Suter, Jared Spurgeon, and Charlie Coyle got the night off. Up front, Minnesota put out their regular top 2 lines, Parise and Pominville, centred by Granlund, and Koivu lined up with Vanek and Niederreiter on his sides. On defence, Brodin and Scandella represented the first pairing, playing 28:51 and 26:05, respectively. Rookies Dumba and Folin each played nearly 24 minutes. In the blue paint, Kuemper stopped 19 of 23 shots. Dumba, Koivu, Parise, and Pominville each had two points a piece. As of 11A.M. EST, the Minnesota Wild have released Ilya Bryzgalov from his professional tryout and have placed Cody Almond and Stephane Veilleux on waivers, for the purpose of sending them to the Iowa Wild, their AHL affiliate. They also placed Justin Fontaine on the injured reserve. 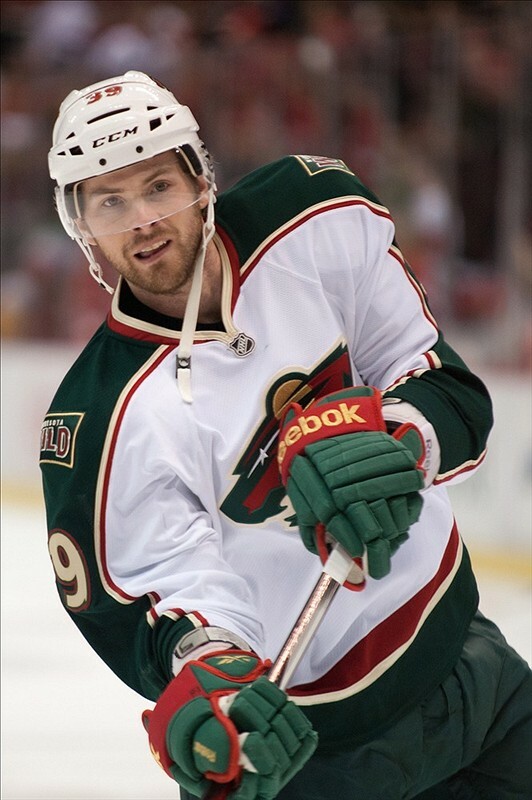 That said, Stu Bickel, Mat Dumba, Christian Folin, Nate Prosser, and Jason Zucker have made the opening night roster. Ilya Bryzgalov’s time with the Wild may have come to an end after he was released form his pro tryout today. Although Ilya Bryzgalov was real eased form his tryout today, Star Tribune writer, Michael Russo, is saying that GM Chuck Fletcher and Bryzgalov’s agent have been discussing both an AHL, and a two-way contract. It will be Bryzgalov’s decision whether or not he thinks he could still receive and NHL contract from another team. Although, he has made it very clear over the summer that his number one choice is to stay in Minnesota. The Wild have just signed Ryan Carter to a 1-year, 2-way contract worth $725K. Carter was most recently an effective fourth line player with the New Jersey Devils and was active through the Devils entire training camp. He is a White Bear Lake, Minnesota native and, according to Michael Russo of the Star Tribune, he is likely to start the season with Minnesota. Who Will Stick with the Wild? It’s looking more and more likely that the Wild will keep 3 goaltenders on their roster, leaving space for just one or two of the remaining four ‘on the line’ players. These four include Cody Almond, Stu Bickel, Erik Haula, and Stephane Veilleux. Haula has the obvious upper hand here due to his 46 regular season games and all 13 playoff games played with the Wild last year. Not to mention he got better with time, putting up 7 points in the playoffs. Besides ‘Haulsy’, Cody Almond had impressed the Minnesota staff this fall after returning from a two year stint in Switzerland. He would likely be the number one option as a call up to start the season. Stu Bickel has also been a pleasant surprise in training camp, showing versatility between playing right wing and defence. Chances are, the Wild will keep Haula and Bickel to start the season. Nate Prosser returns to the only place he’s ever called home in the NHL.